Hygiene and face toning: cleans, calms and repairs the skin.Is indicated to remove make-up and for the daily cleansing and tonification of the most sensitive skin, or skin subjected to agressive medical or cosmetic treatment.All skins types. 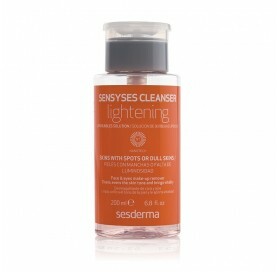 Cleans, calms and repairs the skin.Indicated to skins with spots or dull skins. Cleans, evens the skin tone and brings vitality. 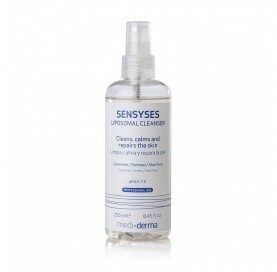 Cleans, calms and repairs the skin.Indicated to oily and acne prone skins. 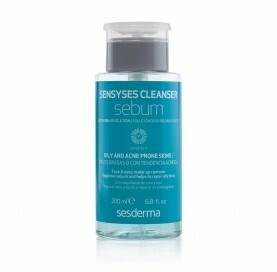 Regulates sebum and helps to repair oily skins. Cleans, calms and repairs the skin.Indicated to red or sensitive skins. Reduces redness, evens out skin tone and repair the skin. Cleans, calms and repairs the skin.Indicated to scaly and red skins. Antiseptic, sebum regulating and skin protective properties.